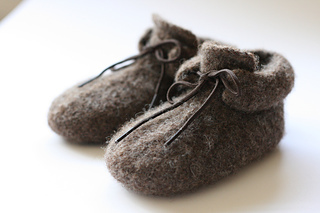 Knit your little one some cozy, vintage class with these felted shoes! 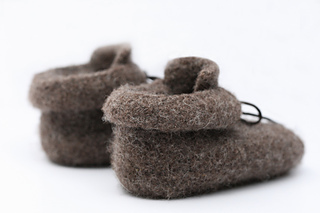 Reminiscent of a Cobbler’s shoe, they’re a timeless addition to any baby’s wardrobe. You’ll love the quick and simple construction and the cute finished product. 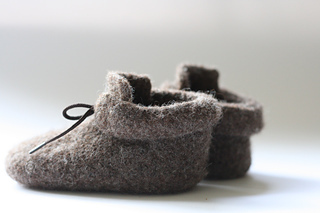 No previous felting experience needed - instructions are included in pattern! Pattern is 4 pages long and includes easy to follow directions. 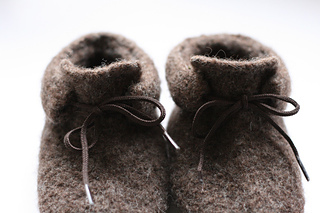 Additional step-by-step instructions and pictures are provided for confusing areas. Techniques used: Knit, purl, M1L, k2tog, seaming, picking up stitches, working in a round, and felting.